Natural News has had a long history of vaccine denial, which always garners laughter from the scientific skeptic crowd. Occasionally, however, Natural News takes its anti-science beliefs to a whole new level, one that requires a double-pronged rebuttal and refutation. Recently, Natural News published an article that criticizes mandatory vaccinations of healthcare workers both from the scientific and legal point of view. In that article, Natural News is wrong about mandatory vaccinations – again. This article is the second part of a two-part series about that Natural News article, examining some of the legal issues of mandatory vaccination. Part 1 examines where Natural News gets the science wrong about mandatory vaccination. Worried about transmission of influenza from healthcare workers to patients, hospitals and legislators have been working for several years to increase the rates of workers vaccinated against it. Initially, hospitals tried education. That helped raise vaccination rates some, but they were still dismally low. Hospitals then tried offering a “declination form,” acknowledging the risks of not vaccinating (pdf). Again, this was effective, but not enough – not up to the 90% standard sought. Starting in 2005 (with Bronson Methodist Hospital in Kalamazoo, Michigan and Virginia Mason Medical Center in Seattle, Washington, in 2005), some hospitals – still a small minority – have adopted mandatory vaccination policies. While the numbers are small, they are growing. About twenty states have also passed statutes or regulations related to influenza vaccination, though in most of these there’s no state sanction for recalcitrant employees: they lack an enforcement mechanism for the mandate. Most recently, the Governor of South Dakota issued an executive order (pdf) requiring health care workers working for the state to get an annual influenza vaccine. The order provides a medical and religious exemption, and like most statutes, does not include a penalty or enforcement mechanism against non-complying employees or employers. Naturally, anti-vaccine activists oppose the requirement. Most recently, an article by anti-vaccine Attorney Alan Phillips argued that vaccinating healthcare workers against influenza is useless, harmful and dangerous, and that the way hospitals do it is against the law. Attorney Phillips is wrong on the science; and although some of his points on the law are valid, several are inaccurate, and in my opinion, a few are flat out wrong. Our talented and snarky host will discuss most of the science. The short version is that the flu vaccine is neither useless nor dangerous. While not our most effective vaccine, the flu vaccine can prevent deaths and serious harms from this dangerous illness, and in the healthcare context, can protect vulnerable patients. But again, our host will elaborate. This post will focus on the legal issues. I agree with Attorney Phillips that state legislators can, and probably should, act in this area and that making views known to them is of paramount importance. Specifically, statutory mandates are more efficient – they save each hospital from designing its own implementation policy, they allow for consistency, and they solve some potential legal problems. But only a minority of states have adopted them, and only a handful adopted mandates with teeth. Much of the action seems to be at the hospital level. It’s important, therefore, to make sure that hospitals know the legal situation and get those policies right. At that level, Attorney Phillips criticizes existing policies on a number of grounds, some more justified than others. I want to highlight four points for further exploration. Attorney Phillips claims that a hospital is required under federal law to offer a religious exemption. He seems to base that on the Civil Rights Act of 1964, since federal constitutional law does not require such an exemption (also see this article). Title VII of the Civil Rights Act 1964 does prohibit employment discrimination on religious grounds and requires employers to offer reasonable accommodation to employees. But it does not require such an accommodation if it will impose an “undue hardship” on the employer – a legal term that has been interpret to mean any burden that imposes more than a de minimis – very low cost – on the employer (Trans World Airlines, Inc. v. Hardison, 432 U.S. 63, 84 (1977). 479 U.S. 60, 68-69 (1986)). Nor is an employer required to waive a rule if the accommodation will impose “more than de minimis cost” on the operation of the employer’s business. How do these principles apply to the influenza vaccine? The goal of the requirement is to protect patients. Two accommodations have been suggested for employees who have sincere religious objections to the vaccine. The first is wearing a surgical mask. The other is reassignment. Neither is probably required as an accommodation, and absent another reasonable option – and I can’t think of one – the employer is not required to exempt even employees with sincere religious opposition from the requirement. That doesn’t mean that an employer will never be sued for not offering such an exemption – after all, anyone can sue for anything. But an employer offering such an exemption may also be sued, as the Valent case (Valent v. Board of Review) shows. The current state of the law strongly suggests, however, that a suit against an employer for not offering a religious exemption is unlikely to succeed. It probably is a lot less likely to succeed than an attack on a religious exemption the employer attempted to narrow. It’s questionable whether a mask is even a reasonable accommodation. If the goal of the vaccination requirement is to prevent influenza transmission, and the mask is relatively ineffective at doing so, then a mask is not a reasonable accommodation. There are two reasons to think the mask is not a good substitute to vaccination. First, the evidence about the effectiveness of regular surgical masks is mixed at best, with some studies suggesting reasonable effectiveness and others very, very little effectiveness (see article 1, article 2, and article 3). These studies also did not control for vaccination status – and they did not compare masking to vaccinating for the purpose of preventing flu (except for this study, where the effect of vaccinating was non-significant). If a regular mask does not properly protect – or if there’s not good evidence that it does, in fact, protect – it’s not a reasonable accommodation: something that does not prevent influenza does not substitute for something that does, and taking a risk on patients’ health in the absence of good evidence that masks work is asking quite a bit. A heavier mask – an N95 respirator – may be much more effective, but requiring employers to provide them when they do not normally carry enough to cover constant use is more than a de minimis burden. Furthermore, both for masks and for N95 there is an additional problem: vaccines are a set precaution, and one that’s relatively easy to monitor. While the flu vaccine is an annual vaccine, all the employer needs to check is that the employee was vaccinated. Alternatives such as masks are continuous precautions: they need to be used constantly to work. It is very human to forget or not make an effort to mask, so using masks as an alternative may require employers to invest more in monitoring. So masks may not be a reasonable accommodation, and are certainly an accommodation that imposes more than a de minimis burden. Employers can choose to provide the alternative anyway, but there’s a strong argument they’re not required to. This has been discussed more in detail in here. The short version is that reassigning can easily impose a substantial burden: it can deprive the hospital of trained workers available to work with patients. As a result, areas with patients may be understaffed and patients underserved. It can also be a burden on other employees – either those who will have to shoulder additional tasks because of reassignment, or those without religious objections that will have to be reassigned in turn to make room for the objecting employee. Employers are not required to reassign employees if doing so will impose a burden on other employees Trans World Airlines, Inc. v. Hardison, 432 U.S. 63, 84 (1977). Nor is an employer required to reassign an employee if that will violate seniority (Stolley v. Lockheed Martin Aeronautics Co., 2007 WL 1010418 (5th Cir. March 28, 2007)). In some circumstances reassignment may be feasible with no burden. In most, reassignment is a pretty heavy order, and an employer probably has a very good argument that it’s not required. Attorney Phillips is completely right that if an employer does choose to offer a religious exemption, requiring a letter from a priest – or in other ways limiting it to members of organized religion – is probably unconstitutional (Dalli v. Bd. of Educ., 267 N.E.2d 219, 222-23 (Mass. 1971)). Nor can the employer deny an exemption to employees who oppose vaccines on religious grounds but belong to a religion that usually does not (Berg v. Glen Cove City Sch. Dist., 853 F. Supp. 651 (E.D.N.Y. 1994)). Our jurisprudence defines religion broadly and is not inclined to allow state officials – or even state legislatures – to play conscience police, and with good reasons. Freedom of conscience means, at the least, that the state should not favor some religions over others and that my private beliefs or lack thereof should not be judged by the state. Attorney Phillips claims that requiring a mask constantly violates federal law. I’m not clear what the basis for that claim is. Vaccines protect patients by preventing the employee from getting the disease – can’t transmit what you don’t have. Masking does two things: protect the employee from getting influenza – and hence protecting them from transmitting it – and protect against infecting patients more directly. Why is masking all around the workplace – offering the employee maximum protection against getting influenza in the workplace, though not outside it, and hence preventing the employee from infecting patients – not a reasonable demand? Influenza is very, very contagious and can be contracted in more than one way. Absent vaccination, why wouldn’t employers want maximum protection at least during work hours? What is the basis for claiming that this is too much? Attorney Phillips suggests that identifying employees violates federal law. Attorney Phillips presumably has HIPAA in mind; but there are exceptions to HIPAA, including a public health exception. At any rate, HIPAA was not designed to protect employees from enforcement of work safety rules by the employers; it was designed to protect patients from disclosure of information by the providers. The employees are not in their role as patients here, and it’s not clear that the protections apply at all. Attorney Phillips reassures health workers that although employment in the United States is at will, they do not need to worry about being fired since an employer cannot fire them for an unlawful reason. Employment is, in fact, at will. But there’s nothing unlawful about influenza immunization requirements, and there is nothing unlawful about firing an employee that refuses to comply with a health and safety rule. In fact, it’s an excellent reason to dismiss that employee. 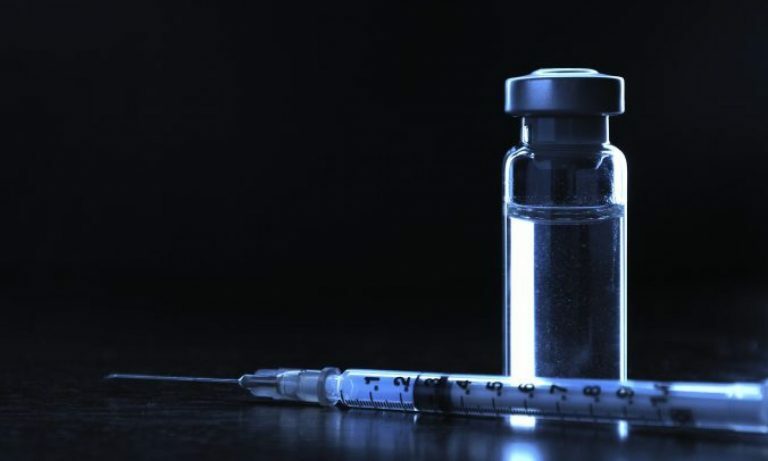 Any employee who is assuming that an employer cannot dismiss them for their refusal to vaccinate – absent proof that the employer did, indeed, violate a federal requirement – is likely to be unpleasantly surprised. If an employer can fire you for shopping at a non-company store (Payne v. Western & A. R. T. Co. (1884) 81 Tenn. 507, 519-520), an employer can fire you for not getting a vaccine. The requirement that employees vaccinate against influenza is a reasonable requirement, one designed to protect patients. There is nothing in federal law that prevents it. Legislating such a requirement has advantages: it provides for consistency among health care facilities and carries the legitimacy of the democratic process. But a majority of states have not enacted such a requirement, and most that have have not provided for enforcement, e.g. by dismissing non-compliant employees. There is nothing stopping hospitals from requiring this – and from acting against employees that refuse to comply. Editor’s note – This article was originally published in August 2014. It’s been updated to fix broken links, formatting, and other issues.